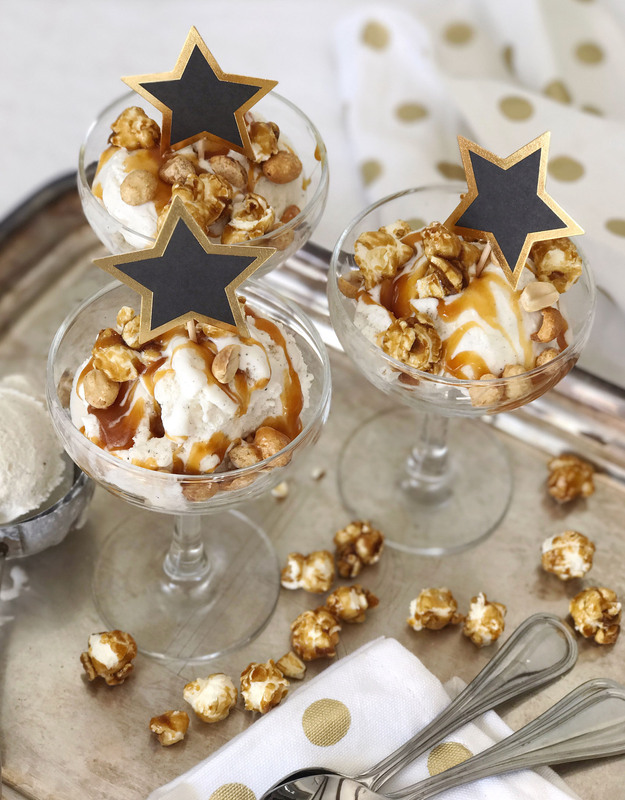 Awards Show Caramel Popcorn Sundaes. I’m getting so excited to watch the Academy Awards on Sunday night, it’s the biggest TV night of the year for me (sorry SuperBowl, red carpet wins!). My viewing traditions include cozy pajamas, fully charged iPad, iPhone and computer for live-tweeting and red carpet reviewing, and of course super-tasty Oscar’s night snacks. 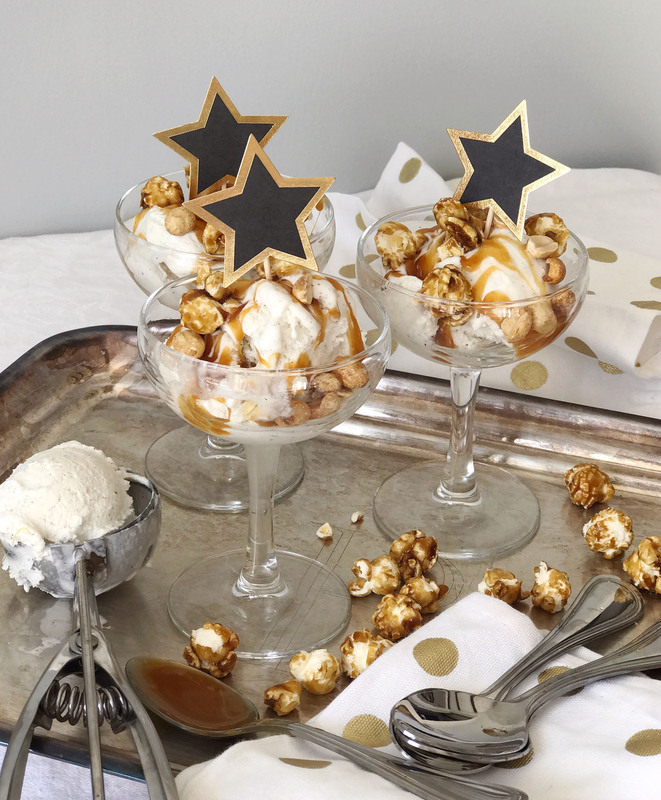 I have a sweet-tooth fix for this year’s show, a movie-theater snack inspired ice cream sundae. I started with vanilla bean ice cream (if you’re going vanilla, vanilla bean is always the right choice! 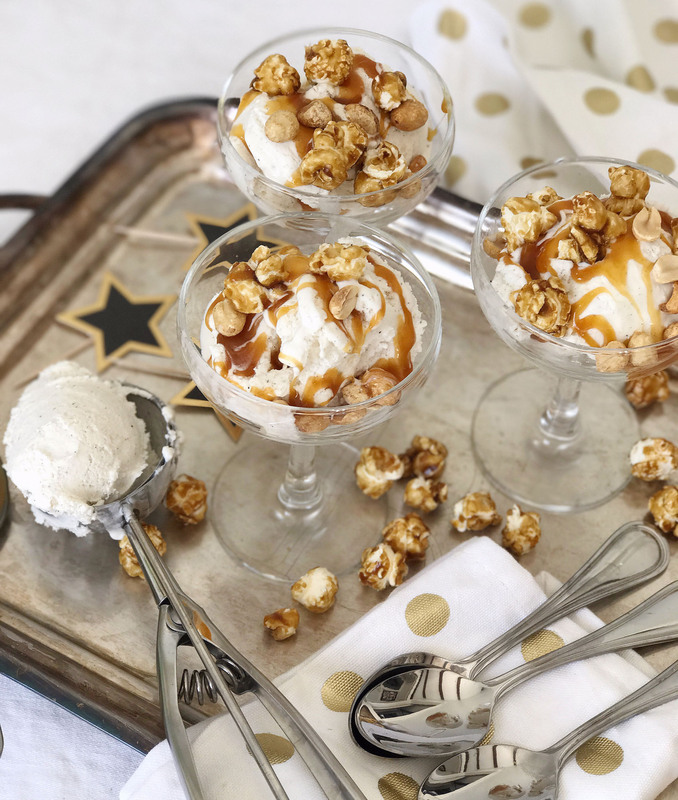 ), drizzled it with salted caramel sauce, and topped it off with caramel popcorn and salty peanuts. 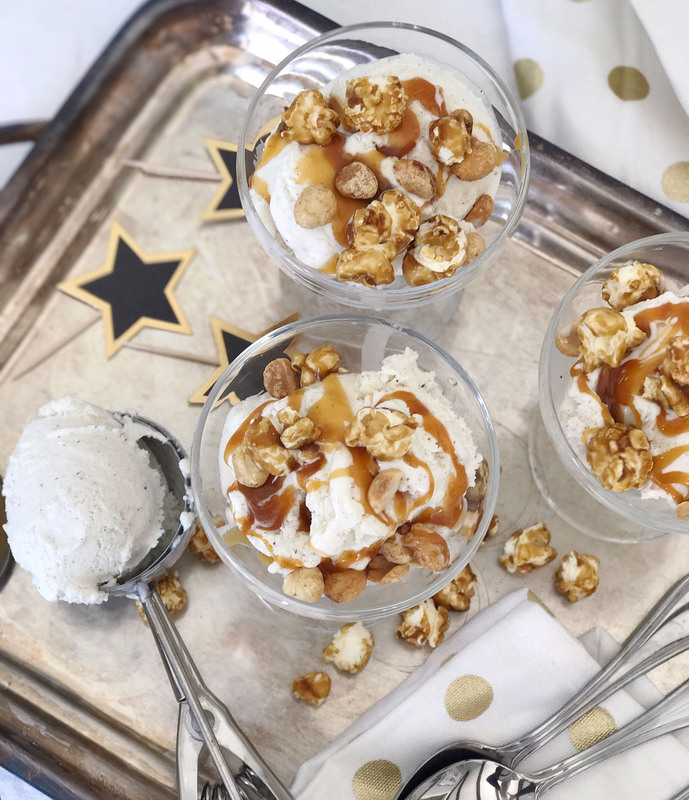 I’m a sucker for that salty and sweet flavor combination, and this sundae hits the spot. 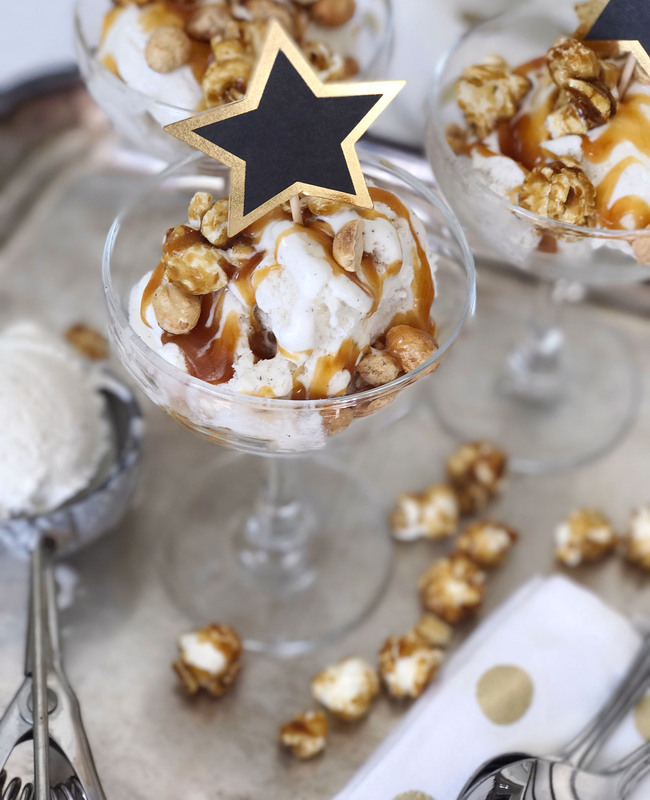 For a little extra nod to the Oscars, I served them in champagne coupes and topped them with Hollywood star cupcake toppers! Can’t wait to whip one of these up on Sunday as I settle in for a night of celebrities and ball gowns. Scoop ice cream into individual dishes. 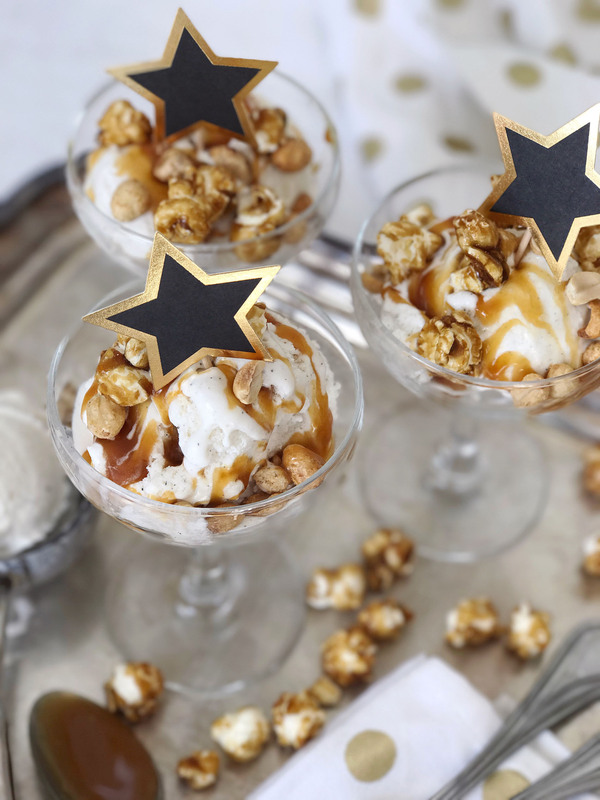 Drizzle with salted caramel sauce and top with caramel popcorn and peanuts. Wild Rice Winter Harvest Salad. Modern Metallic Tablescape DIYs.